Here’s a great meat-free version of a classic dish. 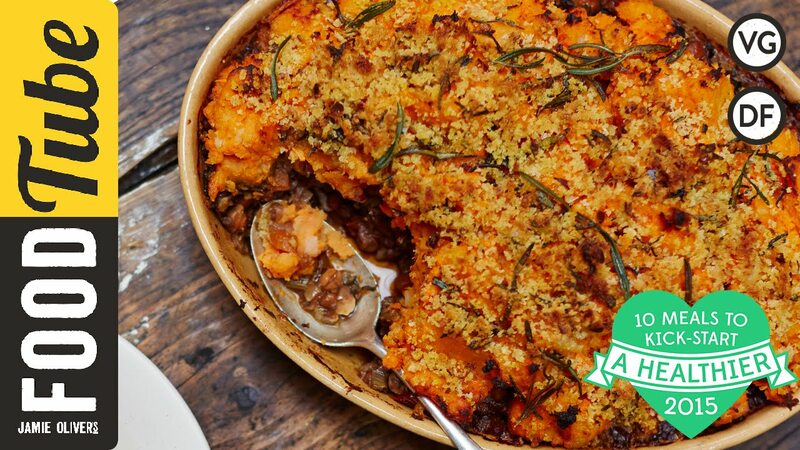 Packed with beans, pulses, vegetables and herbs then topped with soft sweet potato and finished with crispy breadcrumbs, this healthy vegan recipe is great for everyone. For the first 2 weeks of January Food Tube, Jamieoliver.com, Jamie Magazine and Jamie’s Instagram are giving you 10 Meals to Kick-Start a Healthier 2015 for free. Great tasting dishes which are good for you, easy to make and won’t break the bank. It’s not a diet, it’s not a meal plan, just a tool kit of recipes to use in your life whenever it suits you. All healthy recipes have been developed and tested by Jamie’s food team and approved by his qualified nutritionists.